AJ Floor Sanding, Court Marking & Sealing are experts at bringing tired and worn floors back to life. We’re a family-run business based in Evesham, Worcestershire, but cover nationwide locations. 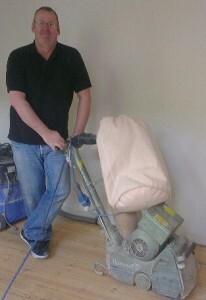 Day-to-day operations are handled by Alister Jacob who has over 30 years experience of floor sanding, repair and refurbishment, for both commercial and domestic customers so your floor is safe in our hands. Additionally, we are specialists in Sports Floor sanding and refurbishment, including court marking to Sport England specifications. As a family run business, we value our hard earned reputation as a reliable, honest and affordable floor sanding service and maintain the highest standards at all times. Please read our testimonials from past clients for whom we have carried out work for. Take a look at our recent work on our gallery of work page here. 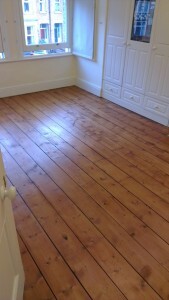 We are experts at sanding and refurbishing a variety of floor types including Granwood, Junckers, Bona and Parquet. We welcome enquiries for all types of floor sanding requirements, from lounge floors to large sports halls, we serve both commercial and domestic needs. Our diary fills up fast, so if you’re looking for a quality floor sanding company to service your floor, please complete the online form on this page or call us using the number below.